IN THE MATTER of s88 of the Resource Management Act 1991. Application for Resource Consent CST60323353 by Panuku – Development Auckland, for consent to construct two mooring dolphins located at distances of 49m and 82m (to the centres of the dolphins), to a total length of 90m from the end of Queens Wharf into the Coastal Marine Area, a gangway connection to Queens Wharf including hydraulic retractable gangway, piles, light poles and security gates. My name is Michael Lee. I am the Auckland councillor representing the Waitematā & Gulf ward and have served in this role since 2010. Prior to this I was a member of the Auckland Regional Council (ARC), being first elected to that body representing the Auckland Central electorate in February 1992. In 2004 I was elected chairman of the ARC and served two consecutive terms in that role up until the ‘Super City’ amalgamation in October 2010. During my 27 years in regional government, and before, I have taken a keen interest in issues relating to the Waitematā Harbour and Hauraki Gulf. I am a member of the Hauraki Gulf Forum and the chair of the Auckland Council Heritage Advisory Panel. I hold a Master of Science degree (hons) in Biological Sciences from Auckland University, which includes credits in resource management law. Prior to my time in regional government I served in the merchant navy as a radio officer in passenger/general cargo, bulk carrier and container vessels and in the off shore oil industry from 1972 to 1991. This practical background in the maritime industry I found helpful during my time in the Auckland Regional Council, especially during the period from 2004-2010 when I was involved in deliberations and major decisions regarding the Auckland waterfront, including acquisition of 100% of the shares of Ports of Auckland Ltd (POAL), the consequent separation out from POAL of the Wynyard land portfolio, the original ‘Waterfront Vision’ (2005) developed with Ports of Auckland, Auckland City Council and the public and commencing the redevelopment of the Wynyard Quarter, decisions around a waterfront stadium, the purchase (with the government) of Queens Wharf from POAL and the restoration and refurbishment of Shed 10 to become Auckland’s premier cruise ship terminal. Incidentally and for the record, the purchase of Queens Wharf, including the protracted negotiations with POAL and its lawyers, from the ARC side was personally managed by the ARC Chief Executive Peter Winder with legal support from Tom Bennett of Bell Gully. While this application will be decided under the provisions of the Resource Management Act and its instruments, including the NZ Coastal Policy Statement and the Auckland Unitary Plan, I note as indicated in the excellent Application Report by the Reporting Planner Richard Blakey, that the Coastal Marine Area (‘common marine and coastal area’) of the Waitematā Harbour is legally part of the Hauraki Gulf Marine Park and therefore relevant aspects of the application need to be considered under the provisions of the Hauraki Gulf Marine Park Act (2000), particularly sections 7 & 8 which under sections 9 & 10 of that Act constitute a National Policy Statement and a NZ Coastal Policy Statement. As s13 of that Act reminds us “…all persons exercising powers or carrying out functions for the Hauraki Gulf under any Act specified in Schedule 1, must in addition to any other requirement specified in those Acts for the exercise of that power or the carrying out of that function, have particular regard to the provisions of sections 7 and 8 of this Act.” Note also s33 of that Act and the map in Schedule 3 which sets out the boundaries of the Marine Park. Out the outset, I wish to make it clear that I support the continued location of the Ports of Auckland within its present operational footprint. Auckland is a harbour city, a port city and the Ports of Auckland are of immense strategic importance to New Zealand and of major economic and commercial significance to the people of Auckland. That said however, it is axiomatic to sustainable management that the port should not further impinge upon, nor further compromise the values and life-supporting capacity of the Waitematā Harbour which enables its existence. Furthermore as the record will show, while I have advocated and supported policies specifically aimed at supporting the cruise ship industry, because of the value of cruise ship visits to Auckland, as public servants of Auckland we need to ensure that as much as possible the cruise ship industry works for Auckland – not the other way round. After reading the evidence of the applicant’s experts, I am not convinced that this point is fully understood by all council/CCO officials. In 2009, as noted in evidence, the ARC and the government purchased Queens Wharf from Ports of Auckland Ltd. This was done for three reasons. 1. To secure public open space on the waterfront; 2. As an event space for the 2011 Rugby World Cup; & 3. To enable Queens Wharf to become Auckland’s primary cruise ship terminal. All these objectives were I believe mutually compatible, integrated and sustainable. In other words to provide a recreation space, connecting the city to the working waterfront, and the harbour – a location from which Aucklanders had been excluded for some 90 years – enabling the people of this maritime city to get up close to ships. Given this background I find it disappointing and frankly difficult to understand why (e.g. See John Smith’s evidence for the applicant) Queens Wharf, despite all its advantages of size and location for passenger shipping, is no longer the preferred location for cruise ships – this according to the ‘Central Wharves Strategy’ (2017). I should point out that the ‘Central Wharves Strategy’ despite Aucklanders’ high interest in the waterfront was decided behind closed doors without public input. I am sure it will come as a surprise to many Aucklanders that this application for a major and intrusive wharf extension into the harbour is also at the same time deemed “temporary” until cruise ship services are relocated to Captain Cook wharf “over the next decade” (again according to Mr Smith). This suggests that along with aspects of the ‘Downtown Programme’, including the removal and value destruction of the smaller cruise ship berth at Queens Wharf West, this consent is being sought in a context of strategic muddle and incoherence. Strategic coherence in managing the Auckland waterfront unfortunately is not a legal requirement – but sustainable management is. Mooring dolphins? or wharf extension? I should also point out that the use of the term ‘mooring dolphins’ as a description by the applicant and the applicant’s experts for this proposal is somewhat misleading. Mooring dolphins all around the world, as the name would suggest, are located in the sea, and like navigation beacons are secured to the seabed with almost always no connection to the land or wharves. 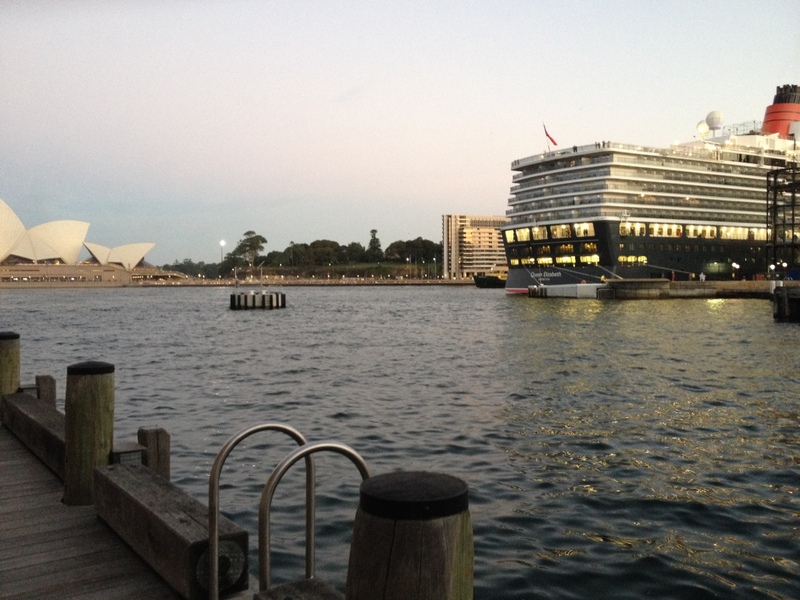 The nearest example of a mooring dolphin used for cruise ships is at Circular Quay, Sydney. Fig. 2. Sydney mooring dolphin in operation. This photo again of Circular Quay was taken in January 2019. The ship secured to the dolphin is the oversize Royal Caribbean International’s Ovation of the Seas (348m, 4500 pax). This ship is referred to frequently in the evidence. Semantics of the naming aside, I note that Queens Wharf is 350m (330m berthage) in length, the ‘dolphins’ and associated gangway will extend out a further 90m into the harbour and include concrete piles beneath and lighting poles above. By comparison Sydney’s Circular Quay is 290m in length, and its low profile, non-intrusive, genuine dolphin is located 60m out from the wharf. This free-standing arrangement, as the photo shows, can readily cater for oversize Quantum-class vessels like the Ovation of the Seas and the Queen Mary and will cater for Oasis-class vessels. In contrast the Panuku proposed ‘dolphins’/wharf extension is significantly longer, has a much greater ‘footprint’ (9500 square metres of seabed by Mr Blakey’s estimate), a much higher visual profile, cannot be navigated around and therefore will be permanently disruptive of ferry schedules (noting the ‘real world’ evidence by Fullers Ltd) and challenging for yachts (noting evidence on behalf of the Royal NZ Yacht Squadron et al.). Compared to the berthing arrangements in Sydney, the Auckland proposal appears to be over-engineered with little apparent concern for avoiding, remedying or mitigating environmental impacts on the harbour. The Panuku proposal will be considerably more expensive and much less environmentally sustainable than would be the deployment of a genuine mooring dolphin. Moreover, given the council’s preference in its ‘Central Wharf Strategy’ to move cruise ships over the next decade’ from Queens to Captain Cook Wharf, in addition to the non-sustainable use of limited natural and physical resources, the proposal given Auckland’s wider infrastructural needs, appears to be a singular uneconomic use of ratepayers’ funds. In 2009 after the purchase of Queens Wharf, I rather quickly had to become appraised of the heritage values of the long locked-away Queens Wharf, and Shed 10 in particular. That is another story but the outcome was that the ARC saved Shed 10 (in the face of strong opposition from our partners in the government) and made funding provision for its refurbishment to become a cruise ship terminal building and event space. As the current chair of the Auckland Council Heritage Advisory Panel made up of independent heritage technical experts and advocates, I wish to place on record the support of the Heritage Advisory Panel members for Heritage New Zealand and others who oppose the application for the heritage and aesthetic reasons as set out in the Heritage New Zealand submission (Robin Byron). I hesitate to challenge the applicant’s economic projections for this project except to sound a note of caution that in my personal experience such projections, (and the consequences of rejecting them) are routinely used to lobby for and justify the spending of public money and for this reason can often be subjective and exaggerated. They therefore should be taken with a pinch of salt. Submissions relating to these economic projections, that come with dire warnings, should the application be declined, about oversize cruise ships refusing to visit Auckland should also be received with skepticism. As the hearing planner Mr Blakey reminds us, the largest oversize cruise ship presently in the region, Ovation of the Seas has been calling at Auckland with increasing frequency since 2016, despite it being unable to berth and having to use dynamic positioning (DP) to keep station in the stream and having to transport its passengers ashore by tender. (Expert evidence that warns us that all cruise ships do not have DP is somewhat misleading – all the new oversize ships do and will, and in the final analysis all ships have anchors). Given this we can be confident of continued visits from Ovation of the Seas regardless of the outcome of this consent decision. At any rate as indicated by the various figures in the applicant’s evidence (as opposed to the conclusions asserted in that evidence) as noted by Mr Blakey in his memorandum of 12 February, the number of cruise ships visits, especially of non-oversize vessels will almost certainly increase in coming years. The problem Auckland and other ports like Sydney will face, will not be insufficient ship visits, but too many. The justification for the proposal appears to boil down to the proposition that there is a significant loss of economic value in tendering passengers ashore from oversize ships, compared to passengers from ships with direct shore access. However the supposed disadvantages and economic losses from tendering passengers ashore appear to be exaggerated. From the passengers’ perspective the views of the Waitematā Harbour and of Auckland from a ship in the stream are quite splendid, creating a memorable experience – certainly more scenically attractive in my recent experience than being alongside at Queens Wharf at this point in time. For cruise passengers, coming ashore by tender is not an uncommon experience. In Auckland it is a pleasant and enjoyable ‘City of Sails’ experience. Tourists actually pay for such boat trips on Auckland Harbour. In terms of economic activity and spending if “only” 85% of for instance of Ovation of the Seas’ passengers come ashore via tenders, as indicated in evidence i.e. 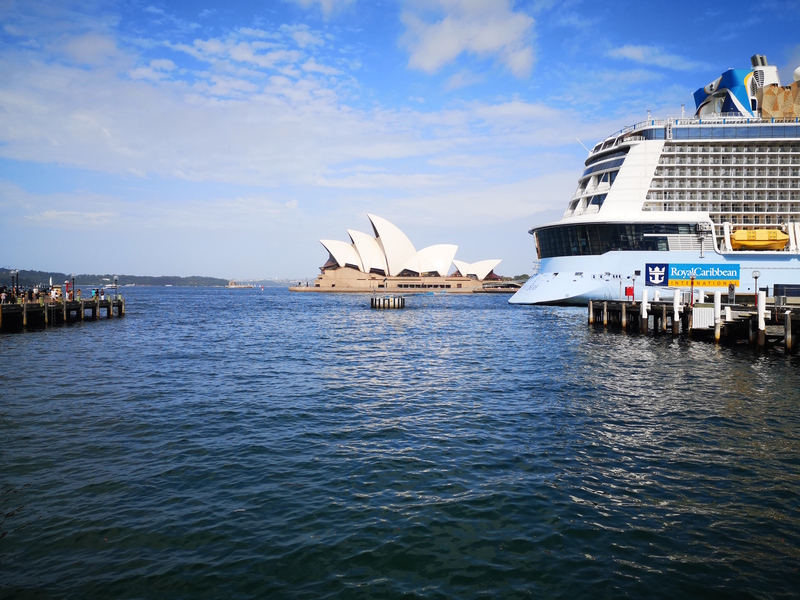 approximately 3800 people, that is more than the total numbers of passengers and crew of for instance its smaller sister ship Radiance of the Seas (2500 pax 860 crew) coming ashore at Queen Wharf and more than from many cruise ships. If we project a similar figure onto an Oasis-class vessel with 6000 passengers, the likely number coming ashore by tender will be roughly equivalent to all the passengers and crew of two conventional cruise ships alongside. As this application is argued very much on the economic benefits for Auckland in respect of transferring cruise ships to Captain Cook Wharf, it should be noted that Captain Cook Wharf will first need to be purchased from Ports of Auckland, it will require resource consents and funding in order to extend the wharf the planned extra 150m, (30 metres further into the harbour than the present length of Queens Wharf), and will require funding and consents for a new terminal building. One suspects the economic case justifying this proposal will make interesting reading. Finally taking into account the wider aspects of the economic arguments for the importance of the cruise industry and of this particular application for Auckland, and again taking into account the ‘Central Wharves Strategy’ and the ‘Downtown Programme’, as noted, the cruise ship berth for smaller vessels on Queens Wharf West is to be removed and replaced by pontoons for harbour ferries, which in turn will be relocated from their present berths to enable a ‘recreation space’, extending from Quay Street into the ferry basin. It is noted from evidence that approximately up to 35% of new building cruise ships come into the smaller ship category. It is revealing that the opportunity cost and value destruction of the removal of this important cruise ship berth does not weigh heavily in the economic assessments of the applicant’s experts. 16. It should also be borne in mind that POAL has its own longstanding plans for wharf extensions and reclamations. Currently these are on hold. However it will be remembered as recently as 2015 POAL began constructing wharf extensions over 90m in length, from Bledisloe Wharf before being halted by the High Court and the overwhelmingly negative public reaction. However if this proposed 90m extension of Queens Wharf is consented to then the precedent created will almost certainly trigger another round of consent applications for harbour reclamation. This will fly in the face of the strong public consensus in Auckland against further reclamations and other cumulative encroachments into the Waitematā harbour. (e) will otherwise be inconsistent with the purpose and principles (Part 2) of the Resource Management Act 1991. (f) will conflict with the National Policy Statement and NZ Coastal Policy Statement provisions of the Hauraki Gulf Marine Park Act 2000, s8 (a),(b),(c),(d), (e) & (f). So says the Auckland Council/AT blurb on plans for the downtown waterfront where major changes are already underway. But hype is hype in any language. Aucklanders have found council ‘official speak’ all too often actually means the opposite – the flipside to reality. What is now happening now can be traced back to Auckland Council’s behind-closed-doors ‘refresh’ of the popular Waterfront Plan. This took place in 2017 in the wake of the disbanding of the small, specialised CCO ‘Waterfront Auckland’ and its takeover by Auckland Council Property Ltd which then became the much bigger ‘Panuku’. These major changes to the waterfront were agreed to by Auckland Council, Auckland Transport and Panuku but with the people of Auckland firmly shut out of the process. First of all I should point out the downtown waterfront is already ‘a people friendly’ environment but it is also at the same time a working waterfront where harbour ferries and cruise ships embark and disembark thousands of passengers every week. Adjacent Quay Street is also a vital arterial route conveying working commuters from the eastern suburbs and Parnell to the CBD. Under the Orwellian brand ‘Quay Street enhancement’ work is now underway to permanently reduce the present four lanes of vehicle traffic, from two each way, to one each way. Despite the scale and length of the work and its permanent consequences, AT and Auckland Council refused to publicly notify the resource consent, claiming that the effects would be ‘no more than minor’. Approximately 25,000 vehicles a day transit this area. This traffic cannot be simply wished away. Already commuters are experiencing considerable peak hour delays on Quay Street and on the Strand through to Stanley Street and this is just the start. The end result of this Quay Street ‘enhancement’ can only be deliberately engineered gridlock. The only people advantaged it seems will be Lime Scooter users and cyclists but it’s going to be deeply frustrating for most commuters and costly for businesses. Another ‘enhancement’ is the planned use of Quay Street by AT as an ‘interchange’ for double–decker buses. The wall of noisy, diesel emitting double-deckers will further compound congestion and also compromise views and connectivity with the harbour. Among the reasons why the move is strongly opposed by Cooper & Company, the owners of the adjacent Britomart heritage precinct and highly-rated urban renewal project. Another proposed change, thankfully subject to a notified consent, is a ‘mooring dolphin’ off Queens Wharf . This to enable berthing mega-sized cruise ships. Leaving aside the merits or otherwise of ratepayers having to pay for this, it needs to be pointed out that this is not really a mooring dolphin as normally understood by the term. Mooring dolphins used around the world, for instance at Circular Quay, Sydney, are anchored to the sea floor and positioned in the harbour like buoys or beacons – quite separate and with no physical attachment to the land or wharves. In contrast this fake ‘mooring dolphin’ will be connected to the end of Queens Wharf by a 90m long jetty, in effect it is a mooring bollard at the end of a major extension to Queens Wharf. This flies in the face of the strong public consensus against further encroachments into the harbour. In 2015 there was a public outcry when Ports of Auckland tried to expand Bledisloe wharf by a similar length extension. Auckland Council spent over $500,000 of ratepayers’ money supporting Ports’ plans in the High Court and lost. Evidently council and its CCOs have failed to learn the lessons that should have been learnt then. This brings me to the proposed ‘Downtown public space’. Ever since Auckland Council sold Queen Elizabeth Square (for a risable net price) there has been a push by council officers to replace the open space so willingly traded away, by reclaiming a part of the ferry basin opposite Albert Street. The people of Auckland have not asked for this and have made it clear they want an end to harbour encroachments. The extension with an associated twee, arty ‘blob’ sitting in the water, portrayed in council publicity as “an oasis inspired by our coastal and cultural environment”, is in reality just another unimaginative encroachment. This will restrict ferries operating from the ideal place for them, make berthing cruise ships at Princes Wharf more difficult and hinder navigation within the ferry basin. These are just some of the planned changes. A working waterfront and a ‘people friendly’ waterfront, as the present situation demonstrates need not be incompatible. While improvements and enhancements are always welcome, that requires a practical understanding of how the area works, if not vision. Such vision, let alone practicalty, is sadly lacking among council and CCO bureaucrats. It appears to me that the objective of the exercise is to ‘transform’ our working waterfront into a sort of sterile playground for city hipsters. So not ‘extraordinary’, not ‘welcoming’ and certainly not ‘authentic’ or ‘beautiful’. This article was published in the March edition of The Hobson. What a gorgeous summer it’s been – the ‘Auckland Dream’, the pursuit of which brought me from Wellington when I was 21. Unfortunately it’s not been the happiest summer for everyone in Waitematā. From early January I’ve been inundated with complaints from upset residents – about Auckland Council. Most of these complaints could have easily been avoided if the people representing the council had been a bit more open to public concerns. Two examples come to mind: first the pine trees at Western Springs, 13 of which were suddenly declared by council officers (before the conclusion of the resource consent hearing) to be in imminent danger of falling and therefore needing to be removed urgently. In order to do so their contractors planned to bulldoze a 3 metre wide access road through the native bush understory – thereby largely defeating the stated purpose of creating a native bush reserve. Neighbouring residents led by Deborah Manning supported by Wendy Gray and staunch Grey Lynn activists pushed back, believing the council and its highly-paid arborist concocted a ‘false emergency’. Affected homeowners refused to leave their houses when ordered to by council officers citing ‘emergency powers’. After a deluge of bad publicity and questions about the credibility of their technical advice the council pulled back. The decision of whether the trees stay or go, as it always should have been, will now be made by the consent hearing panel, after it studies further submissions from residents – and their experts. Another example, local community groups, Herne Bay Pétanque, Ponsonby Probus and U3A, comprising some 300 members, mainly seniors, based at lovely Salisbury Reserve in Herne Bay have been told that their car parking will be withdrawn in the near future and they will have to take their chances on nearby streets where parking spaces are few and far between – and the walk, especially carrying gear, is long. Over the holidays, I received a number of plaintive emails including from local resident and Herne Bay Pétanque official Robyn Chalmers. In response I explained that I try to avoid getting involved in matters within the delegation of the Waitematā Local Board. However my first duty is to the public so I agreed to meet Robyn at Salisbury Reserve. This I did on a beautiful Friday afternoon to find there a hive of activity, the clubrooms and grounds festooned with blue, white and red pennants and club officials bustling about with equipment and supplies of food and beverages. A major international tournament was about to get underway with 44 teams from France, New Caledonia, French Polynesia, Australia and the United States as well as New Zealand. Out on the courts or ‘terrains’, the Tahitian teams and their supporters had already arrived and were getting in some last minute practice. It would be fair to say that most pétanque players would be of a more senior age but I noticed the Tahitian teams featured some athletic younger players – but its canny skills which are decisive and the big attraction for this fascinating game which was apparently invented by the Roman legions in Gaul and is a first cousin to British lawn bowls. As the president of Auckland Pétanque, Ella Harris explained, the Herne Bay Pétanque Club is the busy hub for northern New Zealand for this increasingly popular sport. So ideal is Salisbury Reserve and its ‘terrains’, that pétanque takes place here 3 days a week plus coaching at night, with Auckland Pétanque holding its flagship international tournaments as well as regional and school tournaments. Without the parking all this activity would not be feasible. For their part Auckland Council and Waitematā Local Board say they went through a public consultation process last August, the majority of submissions from which wanted all car parking gone. But the pétanque ladies point out, the consultation was meant to be about a new entrance (after demolition of the historic Masonic hall) and claim council publicity, especially the diagrams, were misleading. They point out car parks can be tastefully landscaped with grassed Gobi blocks and amenity plantings. In response the Local Board has been sternly inflexible. It’s this that I find the most disappointing. As public servants we are elected to serve our people – not spoil their lifestyles. Aside from sport and recreation there’s a cultural aspect to this as well. There has been a French connection with Ponsonby going back to the earliest years of Auckland when Bishop Jean-Baptiste Pompallier established his residence on the Ponsonby heights overlooking the bay he called St Mary’s. Pétanque in New Zealand began in 1993 at Chris Priestly’s Atomic Café in Ponsonby Road and it was Chris and Cam Calder who decided to form the New Zealand Pétanque Association with Chris as founding president and to join the world governing body ‘Fédération Internationale de Pétanque et Jeu Provençal’ (FIPJP). The redoubtable pétanque ladies are fighting back with a petition. It would sad if the council and local board were to be so inflexible that a compromise can not be reached and we lose pétanque and the clubs from lovely Salisbury Reserve. This article was published in the March edition of Ponsonby News. Next year 2019 will be the 250th anniversary of the visit to New Zealand of James Cook and the Endeavour. No doubt, any commemoration will be accompanied by controversy and debate but hopefully the anniversary will stimulate renewed interest in the Age of Discovery and its fundamental impact on our nation’s history. For some years now I have been writing a book; as it happens it’s not about Cook but about his seagoing contemporaries, most of whom were French. Navigators & Naturalists – French exploration of New Zealand and the South Seas 1769-1824 weaves together geographic, natural and human history. It sets the scientific exploration of New Zealand and the Pacific in the context of the French Enlightenment with its veneration of science and philosophy and the quest to map the whole world – and everything in it – minerals, plants, animals and peoples, that fuelled the Age of Discovery. It is a rather big book set out in five parts. The prologue, the scene-setter, is about Bougainville, his ‘discovery’ of Tahiti and the western mythologizing of the South Seas. Part 1, ‘To the Far Side of the World’, deals with enlightenment science, and the race between England and France to find the mythical Great Southern Continent. Part 2 ‘Jean de Surville – the Capitalist’ is about the mysterious Pacific voyage, launched from French India, at the same time as Cook’s. In fact Surville’s St Jean Baptiste and Cook’s Endeavour passed each other within hours off North Cape. It includes fascinating accounts from the journals of French navigators of first contact with Māori at Doubtless Bay. Surville’s expedition is still shrouded in enigma and controversy but is not nearly as controversial as that of Marion Dufresne. His visit to the Bay of Islands in 1772 is covered in Part 3, ‘Marion Dufresne – Enlightenment Martyr?’ Again there are detailed accounts of Māori-European interactions and some intriguing natural history observations. Marion’s assassination along with 24 of his men at the Bay of Islands led to a brief but vicious war between the French and Māori. For most part, the visit had been an idyllic sojourn of harmonious relations fulfilling its commander’s philosophical notions of the ‘noble savage’ but then, for reasons never satisfactorily explained, it suddenly turned terribly violent. Revisiting the reasons behind Marion’s killing, my ‘cold case’ review of the evidence comes up with an explanation different from that now widely accepted by contemporary academics and historians. Challenging received wisdom tends be controversial so the reaction will be interesting. Part 4 deals with the expeditions of La Pérouse and d’Entrecasteaux, the French Revolution, the further development of the natural sciences during the revolutionary period and the reign of Napoléon Bonaparte. Finally, Part 5 ‘Vicit Scientiam – science victorious’ is the book’s ‘grand finale’. It covers the successful La Coquille expedition (1822-1825) of Louis-Isidore Duperrey which visited the Bay of Islands at the height of the Musket Wars. There are fascinating anecdotes about the powerful Māori rangatira, including Hongi Hika and Tui (or Tuai) and at the other of the social scale captive slaves, including the vivacious and brave Tinu, known to the sailors as ‘Nanette’. Duperrey’s scientific expedition featured the naval officers-come-naturalists René Primevère Lesson and Jules-Sébastien-César Dumont d’Urville whose pioneering work in zoology and botany has left an enduring legacy in the natural sciences of New Zealand. I think readers will be surprised at the number of native birds first described and named for science by the French and will find interesting the story of the original but unrecognised scientific name given by Lesson to the North Island brown kiwi. It was Lesson too who introduced the Māori name ‘kiwi’ to the world of ornithology. Incidentally research related to this book led to the rediscovery of what would seem to be the oldest existing specimens of the kiwi in existence. One of which, collected by d’Urville much to the astonishment of the curators of the Muséum National d’Histoire Naturelle in Paris was found only a few months ago, ‘hidden in plain site’ on public display in the Museum’s ‘Grande Galerie de l’Evolution’. The book also features a number of interesting supporting characters, barely remembered in their native France, let alone New Zealand. For instance Pierre Monneron who came to New Zealand with Surville and twenty years later played a key role as a radical politician in the French Revolution. Also, from the opposite side of the revolutionary divide, the 20-year-old noble, Ambroise Bernard Jar du Clesmeur, elevated to command the two-ship expedition of Marion Dufresne after his leader’s death. Young du Clesmeur produced a remarkably handsome sketch of Mt Taranaki which I discovered last year in the margin of his navigation journal in the Paris archives. It’s the oldest known artwork of the iconic maunga in existence and is now published for the first time, featured on the book’s cover. Then there is the heart-touching story of the first woman to visit New Zealand, Louise Victoire Giradin who disguised as a man was a member of d’Entrecasteaux’s crew. And from that same 1793 expedition, Raoul and Kermadec, world famous as geographic names but unknown as men. We spend some time on the back-stories of Joseph Raoul, the sailor from the lower-decks who rose to be a hydrographer, then a fighting commander, twice badly wounded in the Napoleonic Wars, and a rather different personality, much-loved by his crew, the intellectual noble Jean-Michel Huon de Kermadec. Kermadec along with many of the French Pacific explorers did his fighting in the earlier American War of Independence where he was decorated for gallantry at the siege of Savannah. He died en mission at New Caledonia a few weeks after visiting New Zealand and the archipelago named for him. As the saying goes ‘wooden ships and iron men’! During the latter stages of the book I was fortunate to make contact with the Kermadec family who generously sent me an unpublished family history and an image of their famous ancestor, which I have used in the book. So while a few fortunate New Zealanders have visited the Kermadecs (the islands), I reckon I’m the only one to send a Christmas card to the Kermadecs (the family). Navigators & Naturalists I hope will go some way to restoring an important chapter of our past that has been lost – the French history of New Zealand. Navigators & Naturalists – French exploration of New Zealand and the South Seas 1769-1824. Bateman Books. Hard back. RRP $69.99 available at all good booksellers. Transport Minister Twyford’s defence of his unpopular light rail to the airport plan (Dialogue 25 October 2019) was light on argument but heavy on references to ‘experts’. The Minister will need to do better than this to convince Aucklanders that he is right to exclude the electric train option. In a recent NZ Herald online poll, of 13,300 readers, 82% indicated they would prefer to take a ‘train’ to the airport, 9% preferred to ‘drive and park’ while only 6% opted for ‘light rail’ (trams). This is an extraordinarily resounding response and should give be giving the government pause. Mr Twyford’s proposed 24km tramline to the airport, or to Mangere as it has been rebranded, via Dominion Road while still not yet having a supporting business case is presently estimated to cost $3.7b. While it is accepted that building the tram line will be lengthy and disruptive, especially to people living or trying to run a business near it, the finished product is likely to come with another set of impacts. This is because Mr Twyford is predicting light rail on Dominion Road will carry ‘as many people as a four-lane motorway’ but furthermore he is selling light rail as catalyst for intensive development in that corridor – ‘a magnet for investment’ as he puts it. However Mr Twyford’s threats to shut down public opposition to any development by overriding the Unitary Plan (and therefore the Resource Management Act) has not gone down well on Dominion Road or with residents of nearby leafy streets. They are starting to view Mr Twyford’s scheme as a threat to their heritage neighbourhoods. Rather like the minister’s Kiwibuild homes ‘not being for people on low incomes’, his light rail service with only 8 tram stops along the Dominion Road corridor instead of the present 20 bus stops, is clearly not designed for the convenience of public transport users – whether they are airport passengers (too slow) or local residents (not enough stops). The problem is Mr Twyford’s scheme is trying to do deal with two separate public transport problems at the same time, serving Auckland Airport whose throughput is predicted to grow to 40m passenger movements by 2030 and dealing with growing congestion on the isthmus. However way you look at it, it’s a suboptimal solution for both. Given the Minister’s heavy reliance on ‘experts,’ (he referred to them four times) it is only fair to ask who are these experts? Light rail experts are not to be found where NZ transport ministers usually get their technical advice, not in the Ministry of Transport, nor NZTA (despite the latter being charged with delivering the project). And as a former director of Auckland Transport, I can attest to the dearth of light rail experts in that organisation which is the source of Mr Twyford’s scheme. In 2016 AT suddenly changed course rejecting the 2011 ‘South-Western Airport Multi-Modal Corridor Project’ (which had been supported at the time by AT, Auckland Council, Auckland International Airport Ltd, NZTA and KiwiRail) and its recommendations for a heavy rail link to the airport from Onehunga and Puhinui. AT is itself heavily reliant on outside consultants, especially Jacobs NZ whose controversial claims and costings in its 2016 report was the catalyst for the policy change. There has been recent criticism in the media of the dodgy methodology of AT’s business cases for certain cycleways. However I imagine these are squeaky clean and the epitome of objectivity compared to the Jacobs’ report. The other sources of advice to the minister, and his associate minister Julie-Anne Genter, appear to be employees of the Australian-based consulting firm MR Cagney and the activist bloggers of the advocacy group ‘Greater Auckland’, (many of whom actually appear to be the same individuals and one of whom is Ms Genter’s partner). Despite the minister’s airy references to ‘experts’ it is the worrying lack of contestable advice that is his scheme’s greatest weakness. Remarkable too is the lack of any ministerial interest or curiosity about Melbourne which has the biggest light rail system in the world and which is now building a heavy rail connection to Melbourne International Airport. Time was when transport projects of this cost and scale were the subject of widespread public debate and public input but in recent years the statutory Regional Land Transport Plan and the Regional Public Transport Management Plan with its public input processes have been marginalised by the top-down and informal ‘ATAP’ (‘Auckland Transport Alignment Process’). ATAP has become the means by which the government-of-the-day imposes on Auckland what it wants – with no opportunity for ratepayer, taxpayer or travelling public input. Twyford’s tramline to Mangere is actually the outcome of a ‘refreshed’ ATAP – his ATAP – replacing the previous government’s 2016 ATAP. But Mr Twyford needs to be reminded we live in a democratic society. Unless the minister stops acting as some sort of transport ‘Czar’, trying to impose his will on an increasingly sceptical public, then the 94 % of Aucklanders opposed to his light rail scheme, are likely to stay opposed. As with the backlash against the nation-wide regional fuel tax, (originally designed to augment government funding for Auckland’s light rail), halted by a ‘captain’s call’ from the prime minister, Mr Twyford’s $3.7b ‘City Centre to Mangere’ light rail scheme is likely to come with political consequences. This article was published in the NZ Herald and on the Whale Oil and Daily Blog websites. The news of another waterfront stadium, this one to be sunk in the harbour is the latest in a long list of controversial waterfront developments proposed or under way. The real estate consortium pushing the ‘spectacular’ $1.8b stadium is claiming there will be ‘no cost’ to the ratepayers (despite asking for $4m from the council up front). Given Auckland’s other infrastructural needs, it is doubtful that a new stadium is our highest priority right now and given the value destruction of public assets entailed (demolishing Eden Park and using it and Bledisloe port land for high rise apartments), I am not the only Aucklander disinclined to take these white shoe characters at their word. Meanwhile there are a number of other developments drawing opposition from Aucklanders fighting to protect the harbour and its heritage. The first is the helicopter pad at Sentinel Beach. The Herne Bay Residents Association is appalled at the non-notified consent given to a rich-lister Rod Duke to convert a boat shed into a ‘James Bond’ type helicopter pad. Locals are dismayed at the prospect of shattering helicopter noise and fearful of the danger to people using the beach from suddenly arriving helicopters driving sand, shells and pebbles in all directions, and endangering children in kayaks and dinghies. These ratepayers are angered by the favouritism shown by council managers to this very wealthy individual at the cost of their peaceful enjoyment of their homes and public beach, and their rights as citizens and property owners to be consulted. Auckland hero Andy Coleman of Kawau Island Action Inc is so incensed he is proceeding against the council, seeking a judicial review of the non-notified resource consent before the High Court. Further along the coast, Auckland Council’s ‘Healthy Waters’ is applying for consent for a $44m plus project to divert sewage-contaminated storm water from Westhaven marina (at the request of Council-owned Panuku) into a long tunnel running under the St Mary’s Bay cliffs to Masefield Beach from where it will either be pumped back into the already overloaded combined system, or discharged into the Waitemata under the Harbour Bridge. The project appears to be related to Panuku’s plans to privatise marina land for upscale housing developments. Local residents led by the St Mary’s Bay Association, Herne Bay Residents Association and the Western Bays Community Group compiled impressive technical evidence challenging the application. Representatives David Abbott, Dirk Hudig, Bryan Bates and others presented compelling submissions to the hearing commissioners in late September; essentially arguing separation of sewage from storm water is a much more sustainable and less expensive solution. Supporting them I presented my own submission. There are better ways to spend $44m in 2018 than dumping sewage in the harbour. Further east again, work is under way on the Wynyard waterfront for the America’s Cup. Panuku having been rescued from an unpopular America’s Cup proposal by Minister David Parker seems still intent on offending public opinion. Over the past year the CCO has had Aucklanders up-in-arms, across the region, particularly over its plans to privatise publicly-owned marina land for residential development, privatise a town centre carpark in Takapuna and flog off council buildings gifted by an early Papakura identity. Panuku has a mission to sell council property to help fund the council budget deficit and this apparently explains its willingness to override public opinion. The Wynyard Quarter is a special place, a character-filled remnant of Auckland’s old industrial waterfront. 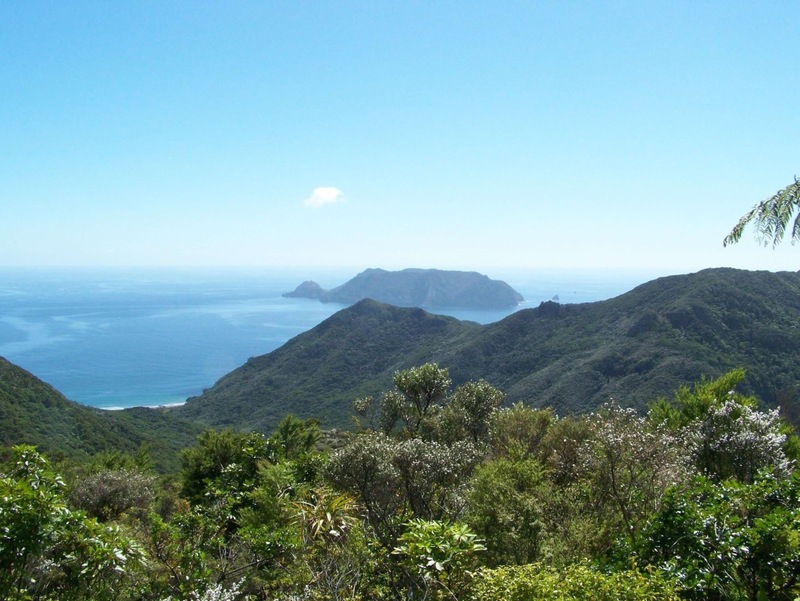 Panuku demonstrated its disinterest in Wynyard’s special character when in August it shut down the operation of the popular heritage tramway because of a land deal granted in favour of a hard-nosed Wellington developer Mark McGuiness (Willis Bond). In response a group of passionate tram supporters led by Ponsonby wine merchant Puneet Dahl (another Auckland hero) is battling the system, campaigning to get the trams running again. The group has a lively Facebook page and a petition approaching 1000 signatories. At the same time Panuku is embroiled in another controversy over its attempts to evict the harbour ferry Kestrel, one of our most important heritage vessels, from the waterfront. Her owners Darby Partners have an exciting plan to incorporate a restored Kestrel in a boutique hotel, restaurant development on Z Pier at Westhaven east, most of which is currently a car park. For reasons, unknown, Panuku has stone-walled the proposal but at the same time has been charging the owners super yacht rates ($5,500 monthly) for the privilege of berthing the old ferry. In mid-October there was an unseemly shouting match on the wharf between a Panuku manager and the Kestrel skipper who with nowhere else to go refused to be bullied off the berth. 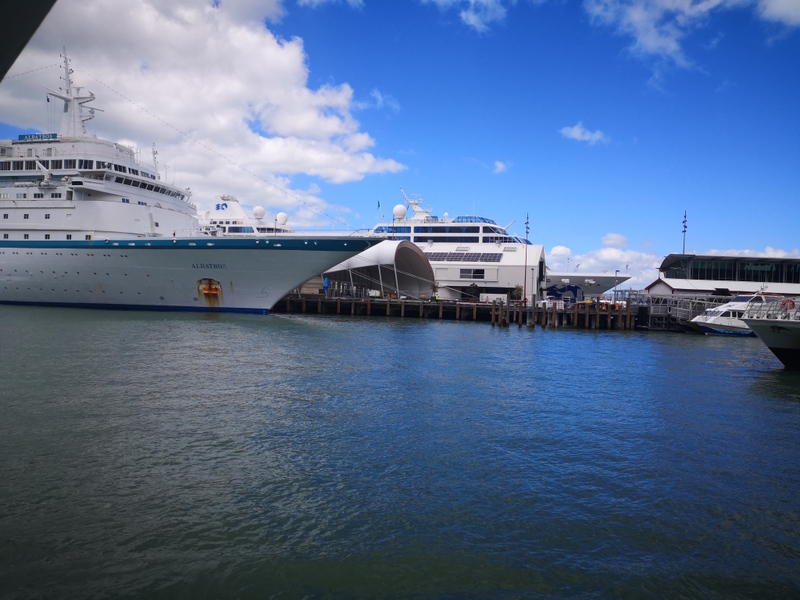 Further east at Queens Wharf Panuku is applying to build a ‘mooring dolphin’ to enable the berthing of mega–sized cruise ships. The problem is this ‘dolphin’ is not really a dolphin at all. Rather than being anchored to the seabed like a buoy, as used in ports around the world, for instance off Circular Quay, Sydney, Panuku’s fake ‘dolphin’ is actually a 90-metre-long wharf extension with the mooring bollards attached to the end. Not surprisingly there is widespread public opposition. Three years ago there was massive outcry when Ports of Auckland tried extending Bledisloe wharf 100m out into the harbour. As a result Auckland Council and Ports got a kick in the pants from the High Court, but sadly it seems absolutely no lesson has been learnt from that experience. The fight goes on. People may have noticed a subtle change in the wording of the latest official publicity about the proposed $3.5b light rail to Auckland International Airport project. Mysteriously the word airport’ has been airbrushed out. ‘City to Airport’ has been replaced with ‘City to Māngere’. What can this mean? It would appear that the idea of trams providing a feasible ‘rapid transit’? (average speed 23.3 km per hour) solution to and from Auckland airport has been grudgingly accepted by officialdom as unrealistic. Not that officialdom would ever admit this. It’s just the latest twist in Auckland’s light rail saga, which tragically has become dominated by political egos, technical ignorance and group-think instead of being about Aucklanders’ needs and reducing traffic congestion. “Auckland Transport’s announcement in January that it was seriously investigating a Light Rail solution for Auckland as a part of the draft Regional Land Transport Plan, came as a surprise to a lot of people but it’s the best news on the transport front for Auckland since the go-ahead for rail electrification. Sadly that original sensible approach, phasing in modern trams to replace buses on congested arterials, well supported by Aucklanders at the time, was received with behind-the-scenes anger by the National government. In response Auckland Transport senior management ditched the previously agreed future heavy rail link to the airport, proposing instead a single tramline via Dominion Road. They also quietly dropped original plans for a Melbourne-style modern tram network for the Auckland isthmus and inner city. Excuse the pun, but things went off the rails from then on. In late 2015 Phil Goff, after briefings from AT, announced light rail to the airport as a key policy of his mayoral campaign. In June 2016 the Board of NZTA voted to exclude any future heavy rail connection to Auckland International Airport. A couple of weeks later the board of AT followed in lockstep with only one director voting against – me. A few months later, cheered on by the trucking lobby, AT demolished the Neilson Street overbridge replacing the road at grade, thus blocking the rail corridor from Onehunga to the airport. In 2017, taking the cue from his old political mentor, Labour’s Phil Twyford took up the policy of light rail to the airport – taking it over completely when Goff, after commissioning another secret report, this time from AT, and evidently being frightened by what he read, appeared to lose interest. Ironically, responsibilty for the light rail project has been taken off AT and placed in the hands of NZTA which has always been a roads agency. No matter, NZTA appears to have the requisite enthusiasm. In a recent ‘Herald’ ‘Opinion’ piece its CEO Fergus Gammie extolled the “transformational”, “rapid” light rail plan as a “game changer” etc. But our politicians and bureaucrats have been too clever by half and have got themselves into a strategic muddle. Servicing Auckland airport and reducing road congestion the original primary objectives are now being downplayed, the new reason for light rail as Mr Gammie enthusiastically announced is as a catalyst for more residential housing investment and ‘growth’. Graphically underscoring just how removed from the practical realities of public transport and the best use of light rail our decision makers are, they intend to replace 20 existing bus stops in the Dominion Road corridor (south of New North Road) with only 8 tram stops. As for residents and business owners in the Dominion Road area, after putting up with prolonged disruption from construction, they can look forward to a rather long walk to catch a tram. This can only mean more use of cars and so even more congestion. $3.5b and counting is a huge amount of money just to sabotage two very sensible transport plans and turn them into a dysfunctional lash-up. Auckland deserves better than this.